January 8, 2018. News from Mazza! My art from my pop-up book "The Bunnies' Christmas Eve" will be on display at the Mazza Museum, in Findlay, Ohio, for the 2018-2019 year. It will be part of the “Paper Engineering” unit in the Laiho Gallery of Paper Engineering. If you like art from children’s books, as well as paper-engineered books, you'll love the Mazza Museum. Visit! You will not be disappointed. photos in School Library Journal. November 8 - 11, 2017. I will be participating informally in the American Association of School Librarian’s 18th National Conference in Phoenix, Arizona. There will be some great speakers—I urge you to attend! October 20, 2017. 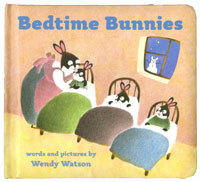 Receive an advance copy of the padded board book edition of Bedtime Bunnies! Publication date is January 2, 2018. This is a perfect gift for tiny readers and their parents. October 2, 2017. I return to Phoenix, Arizona, after a wonderfully long summer in New England. September 25, 2017. News from Mazza! My art from Wendy Watson’s Mother Goose will be on display at the Mazza Museum, in Findlay Ohio, for the 2017-2018 year. If you like art from children’s books, you'll love the Mazza Museum. Visit! You will not be disappointed. September 10, 2015. My Etsy store is open again! I'm adding lots of original art for sale. My studio storage closet is overflowing, and I need to empty it out for newer things. Click on "Shopping" or go to: https://www.etsy.com/shop/WendyWatsonStudio?ref=hdr_shop_menu. August 15, 2015. Return to Phoenix, Arizona after a rejuvenating, inspiring, and stimulating two months in Vermont! July 19, 2015. Jerry Mallett, the founder and long time director of the Mazza Museum, in Findlay Ohio, died on this day. I knew Jerry from the time he began the Mazza collection, with 4 pieces of art, in 1982. Jerry was a deeply committed supporter of children's books, and children's book artists. The Museum, now comprising more than 10,000 pieces, and with an extensive and vigorous outreach program, is an incredible treasure for anyone involved in children's books. You can find out more about the museum at: http://www.mazzamuseum.org. July 2 - 13, 2015. Spent time in Truro, Massachusetts, to do on-site research for my work-in-progress, "The Secret Pocket Diary". June 15, 2015. Travel to Vermont. Plan to spend some time there in the little house/studio left to me by my Dad. June 1, 2015. After a year's hard work, just sent off 3 book projects for my agent to peddle. Summer 2014. Spent two months in my Dad’s studio in Vermont. I inherited his house and studio, and it was very special for me to live and work in the space of the artist who made such a difference to my own work and career. January, 2014. Donated several hundred extra copies of some of my titles to schools and literacy programs in Phoenix, Arizona, and in the state of Vermont. Underpriviledged children are now enjoying my books in their schools and homes. And my closets are emptier---room for the new art I’m working on! July 17, 2013. Just sent off my contribution to the Mazza Museum's "Mazza Celebrity Art Auction", which will be held in April 2014. 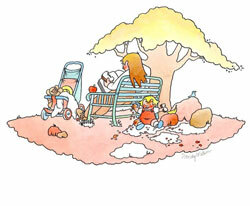 My piece is an archival print of a trial piece I made while working on my book BEDTIME BUNNIES. An autographed copy of the book accompanies the print. This auction is a fund-raiser to benefit the Mazza Endowment. Check out the wonderful Mazza Museum: it is a treasure-trove of original children's book art, over 8,000 pieces! The Mazza Museum, International Art From Children’s Books, will be holding its next auction of original art for children’s books April 26, of 2014. I am donating a piece to this auction. These auctions always offer incredible art. Stay in touch for updates. 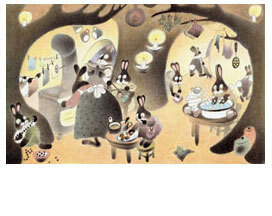 BookExpoAmerica will be holding its 19th auction of Children’s Book Art on May 29, 2013 in New York City. I’ve donated 2 pieces to this auction. To preview the art, and for more info, go to http://abffesilentauction.wordpress.com/. 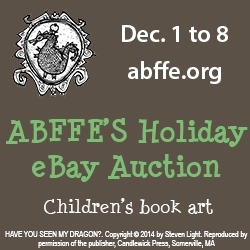 And remember---proceeds from the auction will be donated to the American Booksellers Foundation For Free Expression. Copyright © 2017 Wendy Watson. All rights reserved.